Another day, another accolade. Well, not exactly. 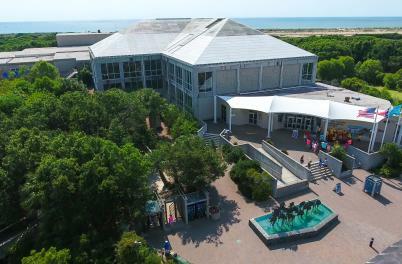 But a recent surge in tourism-related national recognitions has certainly kept Wilmington and the island beaches of Carolina Beach, Kure Beach and Wrightsville Beach in the news. We thought it might be fun to harvest some of the more recent Kudos for your enjoyment and consideration! Architectural Digest included Wilmington&apos;s Thalian Hall Center for the Performing Arts, one of the country&apos;s oldest theaters, on their list as one of The Most Beautifully Designed Theaters in the Country. Wilmington&apos;s Battleship NORTH CAROLINA named one of the Best North Carolina Attraction by USA TODAY. Airlie Gardens was named by Orbitz as the Best Place to Get Married in North Carolina. Condé Nast Traveler named Thalian Hall one of The Best Movie Theaters in America, noting its flair for the dramatic revival and late Victorian architecture and frequent film festivals and acts on stage. USA TODAY 10BEST Reader’s Choice awards voted The Battleship NORTH CAROLINA as one of the top five Best Museum Ships in the U.S.
FoxNews.com included the Battleship NORTH CAROLINA in its list of Best of America&apos;s Battleships & Aircraft Carriers on Display. Fox News Travel included the Wilmington Railroad Museum among its international roundup of 12 Most Incredible Model Railways. Architectural Digest featured Thalian Hall Center for Performing Arts among its roundup of 14 Historic American Theaters. PinPoint restaurant was voted one of the "South&apos;s Best Restaurants," by the readers of Southern Living magazine. Noting "PinPoint shows off the prodigious produce and seafood harvested in the coastal city of Wilmington from butterbean hummus to a rotating cast of local oysters at the raw bar." Manna Avenue restaurant received its fifth consecutive AAA Four Diamond rating in 2019. RX Restaurant was named one of the 50 Best Southern Restaurants in America for 2018 by OpenTable. Three Wilmington restaurants have been recognized by Wine Spectator magazine for their carefully selected wine lists. Grand Cru Food & Wine, Ruth&apos;s Chris Steak House and Sweet n Savory Cafe have each received the 2018 Award of Excellence based on their assortment of wines by quality producers that complement menus in both price and style. Chef Vivian Howard, owner of Benny&apos;s Big Time Pizzeria in Wilmington, has added two more awards to her growing list of accolades. 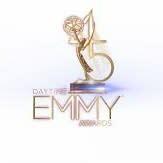 She took home the Daytime Emmy Award for Best Culinary Program for her PBS show "A Chef&apos;s Life." She also won a James Beard Foundation Award for her video webcast, Black Bean-Glazed Salmon with Ginger Cabbage, which airs on pannacooking.com. 24/7 Wall St. named Wake n Bake the best doughnut shop in North Carolina in their list of The Best Doughnut Shop in Every State. Caprice Bistro was named one of the 100 Most Romantic Restaurants in America by OpenTable. CNN named Amy Wright, founder of Bitty & Beau&apos;s Coffee, their 2017 Hero of the Year for her efforts to advocate for disabled people. The business has also been featured in Southern Living magazine, "The Rachel Ray Show," “The Harry Connick, Jr. Show” and on UNC-TV. The Bourbon Review named Front Street Brewery one of the Top 20 Bourbon Bars in the South. Front Street Brewery holds over 400 whiskeys on their shelf, 176 of which are bourbons, serves 11 signature bourbon cocktails, 11 bourbon flights, and a consistent rotation of bourbon barrel aged beers on tap. TravelandLeisure.com included Wilmington on its list of America&apos;s Favorite Cities for Brunch. CATCH Restaurant’s chef/owner Keith Rhodes was chosen to participate in the 2016 James Beard Foundation Boot Camp. Rhodes was the only NC chef participating in that year’s event. Buzzfeed.com named Wake n Bake Donuts (with locations in Carolina Beach and Wilmington) as North Carolina&apos;s best doughnut shop. “The Rachel Ray Show” chose Bitty & Beau’s Coffee as the show’s official coffee. Bitty & Beau’s is a coffee shop in Wilmington that employs adults with intellectual disabilities. The business has also been featured in Southern Living magazine, “The Harry Connick, Jr. Show” and on UNC-TV. Garden and Gun magazine’s Guide to Best Southern Burgers included Wilmington restaurants PT’s Grille and Ogden Tap Room. Scoutology.com included two Wilmington breweries—Flytrap Brewing & Wilmington Brewing Co.—on its list of 16 Great N.C. Breweries to Try. Scoutology.com included three Wilmington & Beaches eateries—manna, Rx and 21 North on its list of Top 21 N.C. New American Restaurants. Coastal Living included Shuckin’ Shack on its list of the Best Seafood Dives in America. Select Registry announced two Wilmington bed-and-breakfast inns as 2016 distinguished members: The Verandas and Graystone Inn. Select Registry is a portfolio of more than 320 quality ­assured premier inns, bed and breakfasts, and boutique hotels throughout North America. 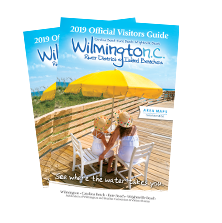 When Southern Living magazine asked their readers to choose "The South&apos;s Best Cities" in 2019, Wilmington&apos;s beautiful waterfront city loaded with historic charm made the top-ten list. Visitor favorites include the two-mile Wilmington Riverwalk and the 230-block National Register Historic District, both lined with boutiques, galleries, restaurants and historic architecture. Access to three island beaches adds to the attraction, making Wilmington a true southern gem. The Southeast Tourism Society has named the North Carolina Azalea Festival one of the STS Top 20 Events in the Southeast for April of 2019. House Method included Wilmington and beaches in its list of 20 Small Towns Perfect for a Winter Getaway noting our unique museums, extensive history, a wealth of restaurants and walkable downtown. Wilmington has been selected as one of the 25 Best Pet-Friendly Vacations in America by FlipKey by TripAdvisor based on their unique travel data, industry research, and traveler feedback. The North Carolina Jazz Festival, Coastal Living Show and U.S. Open Fat Bike Championship on nearby Wrightsville Beach all made the list of Southeast Tourism Society&apos;s (STS) 2018 Top 20 Events for Winter. STS has also named the North Carolina Azalea Festival one of the Top 20 Events in the Southeast for April 2018. Wilmington has been selected as one of TripAdvisor’s 2018 Travelers’ Choice Top Destinations on the Rise. Wilmington ranks #3 among all U.S. destinations on the list. The Trip Advisor Travelers’ Choice Awards represent the very best of travel, as chosen by millions of travelers. Wilmington was recognized as one of America’s 15 Best Girls’ Weekend Getaways Across America from reviewers on FlipKey, featuring local shops and dining options lining the Riverwalk to coastal retreats on the water. Expedia.com named Wilmington one of America’s 13 Hottest Up-and-Coming Coffee Cultures featuring a caring coffee community, animal-friendly java runs, cafes to relax and sip after shopping downtown and more. Jetsetter Magazine named Wilmington one of America&apos;s Coolest Southern Towns. League of American Bicyclists designated Wilmington, NC one of 12 NC cities designated a Bicycle Friendly Community. This award is presented to communities that have shown a significant commitment to bicycling. USA TODAY 10Best Reader’s Choice travel awards voted The North Carolina Azalea Festival #5 Best Flower Festivals. Wilmington named one of 15 Cities in the South That Know how to Charm by CNN Travel. Country Living magazine included Wilmington among its list of 26 Under-the-Radar Southern Towns for Girlfriend Getaways. ValuePenguin.com ranked Wilmington, NC as the #8 Best City for Tourists. U.S. News & World Report online travel included Wilmington & Beaches in a roundup of charming under-the-radar Southern cities worth exploring. TripAdvisor.com included Wilmington among its list of 9 Towns with Treasure Waiting to be Discovered. Triathlete Magazine included Wilmington among its Best Places to Live for Triathletes, citing mild winters, triathlon clubs, ocean, Intracoastal Waterway, historic riverfront and the Gary Shell Cross-City Trail. The Huffington Post showed the Cucalorus Film Festival some love via the CheapTickets.com blog 10 Best Film Festivals You&apos;ve Never Heard Of. MovieMaker Magazine included the Cucalorus Film Festival among its 25 Coolest Film Festivals in the World. USA TODAY 10Best Reader’s Choice travel awards voted Wilmington, NC as America’s Best Riverfront. CraftBeer.com included Wilmington, NC in its list of America&apos;s Beeriest Beach Towns. SmartAsset.com ranked Wilmington #7 among Best Cities for Beer Drinkers. MatadorNetwork.com included Wilmington, NC in its list of 20 Coolest Beach Towns in America. USA TODAY Travel included Wilmington’s Fourth of July celebration in its roundup of dazzling "Fourth of July Fireworks Displays in America’s Cities." 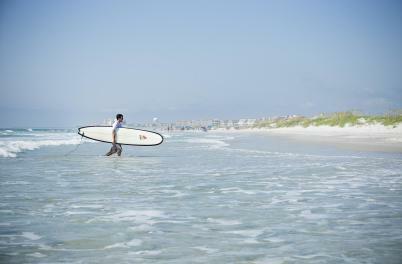 Holiday Inn Resort in Wrightsville Beach was named one of The 10 Best Budget Beach Resorts by Parents Magazine. Wilmington Named one of the 25 Best Small Town Honeymoon Destinations in the U.S. by VacationIdea Dream Vacation Magazine. Curious about what's new in the always original Carolina Beach? 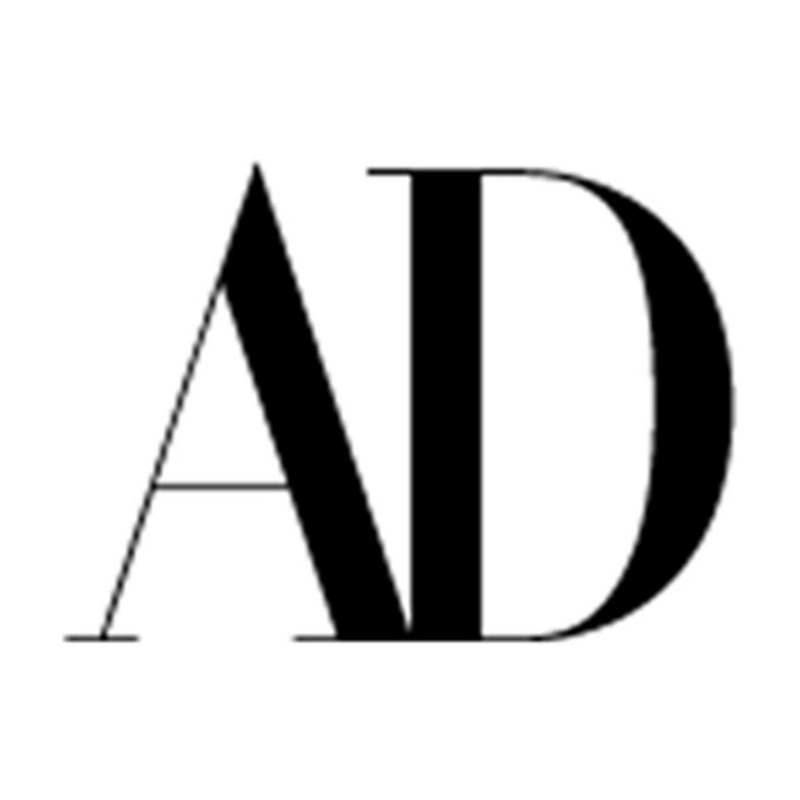 Read about the latest updates, openings and accolades here. If you have visited Kure Beach before and are interested in what’s new to see and do on your next trip, read about recent updates and accolades here.